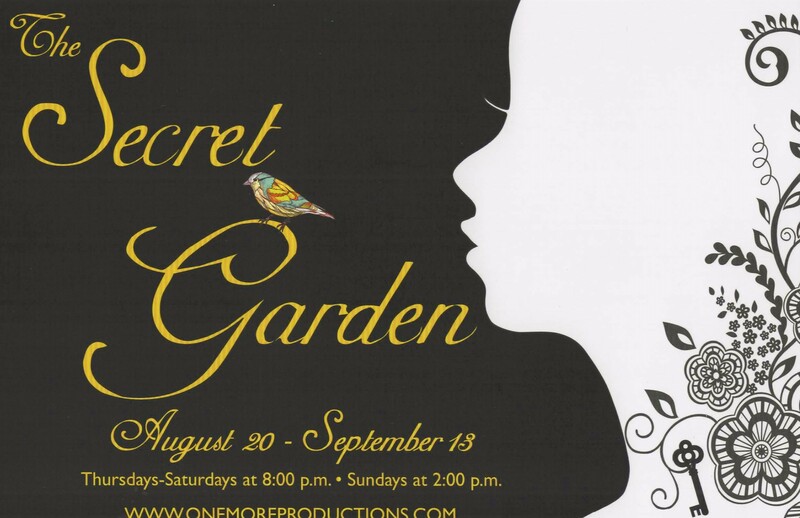 Who among us doesn’t recollect the old nursery rhyme that queries “Mistress Mary, quite contrary, how does your garden grow?” This very question may easily apply to “The Secret Garden”, the Tony Award-Winning musical based on Frances Hodgson Burnett’s classic novel. 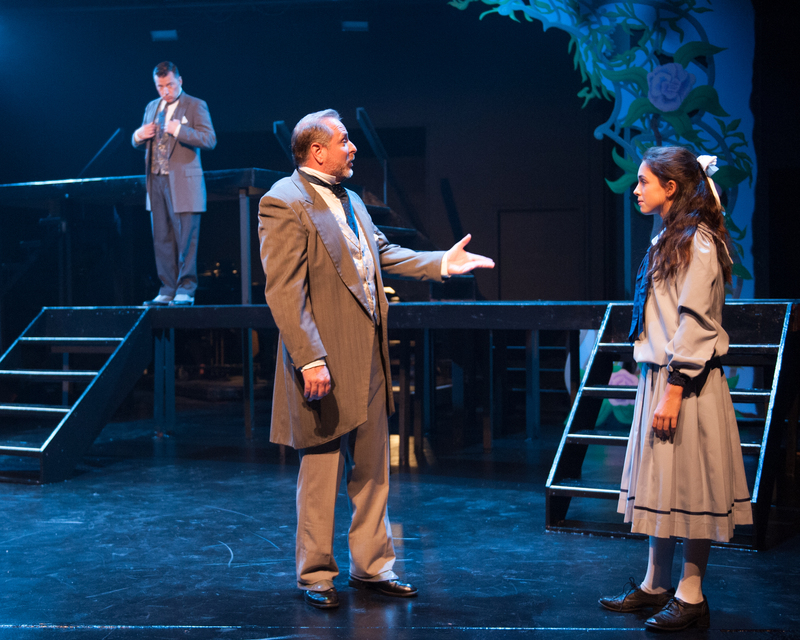 Now, “One More Productions”–Orange County’s “little theater company that could” handily demonstrates once again they can—and do–with this, their latest presentation at the landmark “Gem Theatre” in Garden Grove California. Boasting plenty of sumptuous music by Lucy Simon with Book and Lyrics by Marsha Norman (the Pulitzer Prize-winning playwright of ‘Night Mother’,) this surprise insertion into the company’s 2015 season proves to be a highly laudable addition benefitting Southern California play-goers of all ages! This endearing classic of children’s literature has been brilliantly re-imagined into a good old-fashioned operetta-style musical set towards the end of the Edwardian era’s “Belle Epoch” in the year 1911. The story centers around 11-year-old Mary Lennox who, in the wake of being orphaned when a Cholera epidemic strikes her settlement in British Colonial Bombay India, returns to Yorkshire to live with her embittered, reclusive widowed uncle, Archibald and his invalid son Colin. Their creepy old manor house, called “Misselthwaite” holds as many mysteries for the girl as it does wonders–including a long forgotten, completely fenced-in garden which beckons her and her cousin with subtle and sublime melodies and recondite beauty—which, with the eventual onset of spring, will miraculously uplift all of their lives forever. “She needs a home–the only thing she really needs I cannot give. Instead she asks a bit of earth, to make it live!” Duane Thomas as “Uncle Archibald” meets Sophia Scarsi as his niece “Mary” while Chris Peduzzi as his brother “Neville” looks on. Norman’s book and lyrics so spectacularly capture the honest vernacular of the times and location in which the tale takes place that one might even think the show was emphatically written in 1911! Dramatizing this compelling and charmingly magical tale of faith, forgiveness and ultimate renewal, the “ghosts’ of the past interact side-by-side with the characters of the ‘present’, and via this device the back-story unfolds. In one of the show’s more inspired theatrical devices, the chorus are employed as phantoms referred to as “Dreamers”–specters from Mary and Colin’s past (including the spirit of his deceased mother) who guide the children to and through the discovery and cultivation of the titular garden, and in the process sparks new vitality within each of them. No need to worry regarding any “intense’ or frightening moments though—these apparitions, while ethereal enough are less haunting than romantic, handled as they are with great elegance, and all are entirely benign and (kid) friendly! Even the cholera epidemic depicted as part of the opening montage is stylish and graceful, represented by those who are about to succumb simply holding out red ribbons to signify their affliction before they fade into the background leaving Mary alone. “Spirits are above! Charms aloft on high! 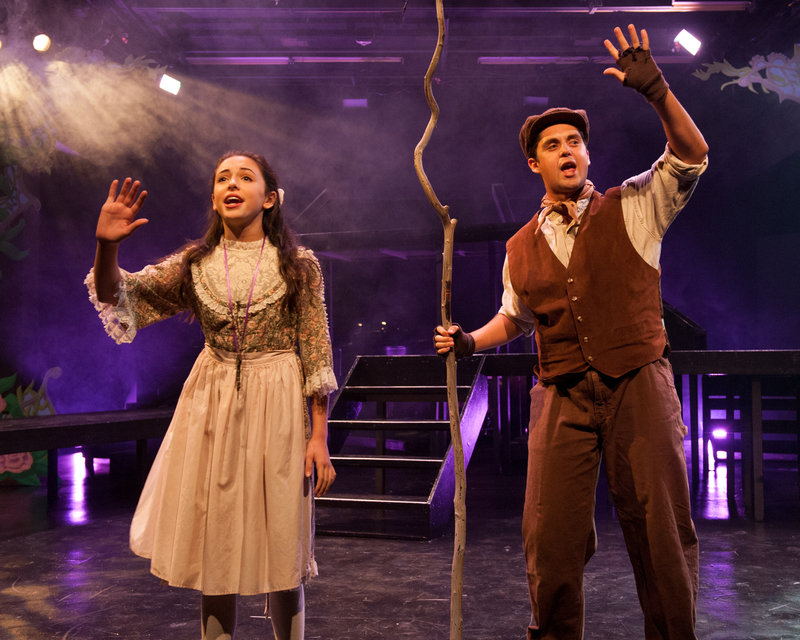 Sweep away the storm comin’ ‘cross the sky!” Sophia Scarsi as “Mary” and Connor Dapkus as “Colin” are joined by Rebecca Silverman as “Martha”, Brandon Taylor Jones as “Dickon” and “The Dreamers” to raise up a miracle! The simple orchestrations, a piano played by Toni Helm while Kevin Weed is on drums, actually (and quite appropriately) put the performances center-stage. In fact, the intimacy of “The Gem’s” auditorium makes the story being told (and the talent enacting it) seem even larger and grander. Special credit also goes out to Larry Watts for his meticulously authentic costumes which run the gamut from native Hindi saree’s and sherwanis to post Victorian gowns and morning suits to traditional turn-of-the-century Yorkshire country-wear. Directed by “One More Productions” Co-Founder Damien Lorton, here is a big, rollicking production, featuring a top-flight cast (many of them regulars at “The Gem”.) Indeed, it’s a safe bet to assert that this is probably the most uniformly accomplished ensemble in recent memory there with everyone a genuine powerhouse performer. “The House Upon The Hill” is a prime example of how effectively they can all come together to furnish some truly transcendent group harmonies, which they do time and again during the show. 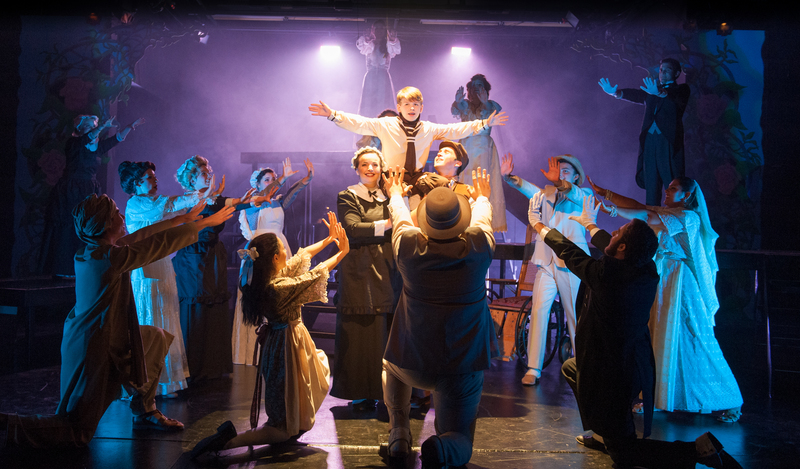 This is also one of those rare and remarkable productions where the extraordinary ending will have you fully absorbed and cheering every note along the way! Leading them all is young Sophia Scarsi as the orphaned waif, “Mary Lennox”. Sophia brings a nice vulnerability to “Mary” making us see the innocent insecurity behind her initial semi-tough “as sour as she looks” facade; this, consequently, makes it easy for us the audience, to like—and just as importantly, “root” for her–even more! As anyone familiar with several of “The Gem’s” previous productions already know, singing-wise Miss Scarsi has an exceptional ability to convey sincere emotion through song that many far beyond her years would envy. Her “Mary” is given snippets of songs over the course of the first act such as in “Show Me The Key” and “A Bit Of Earth”–which Scarsi adeptly supports; but it isn’t until directly following intermission that she unequivocally amazes with “The Girl I’m Mean To Be”, displaying an estimable expressiveness and sensitivity that many will undoubtedly empathize with. Connor Dapkus also exhibits thorough likability as Mary’s cousin “Colin Craven”. At the center of most of the plot’s more ‘enchanting’ elements—as in the vivacious dance-interlude “Come Spirit, Come Charm”–it’s likewise hard not to applaud his pivotal “reinvigoration” from sickly boy into a healthy, rambunctious lad. As Mary’s Uncle “Archibald Craven” and her only living relative, Duane Thomas gives us a man who isn’t so much cold or even neglectful, but rather one who is emotionally pained and conflicted. (“Does everyone who dies become a ghost?” Mary asks her uncle; “They’re only a ghost if someone alive is still holding on to them” he replies.) His opening act soliloquy “A Bit Of Earth” is absolutely sensational–and what a voice he too, possesses! His second act refrain “Race You To The Top Of The Morning” is brilliantly gallantly delivered—incredibly sung, but never sacrificing the potent heart-rending sentiment underneath, as Archibald dares himself to dream of better days for his ailing child. Furthermore, Chris Peduzzi is himself superb as his brother, “Dr. Neville Craven”, the one who is assigned to Colin’s care (and who, we learn, had surreptitiously loved and wanted Lily for himself.) Similarly gifted with an operatic voice, he makes for the perfect villain (whether or not he’ll admit his motivations include gaining Misselthwaite for his own!) Peduzzi strikes just the right balance between strict and menacing, which is in keeping with the overall tone of the piece. 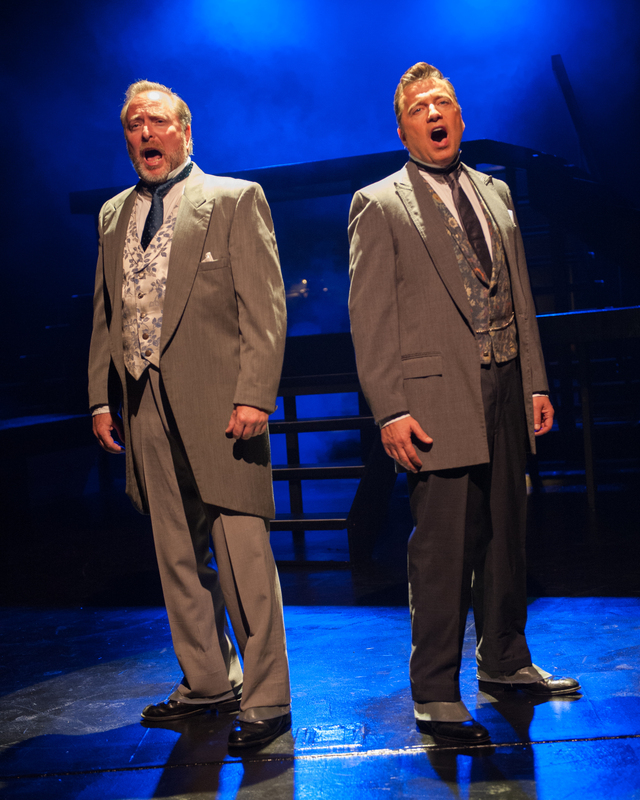 He also quickly substantiates how rich and formidable a voice he also has, in numerous musical moments interspersed all through the show; but together, Thomas and Peduzzi dazzle with their dual declamations “Lily’s Eyes”—making for a symbiotic pair of bona-fide knockout performances! 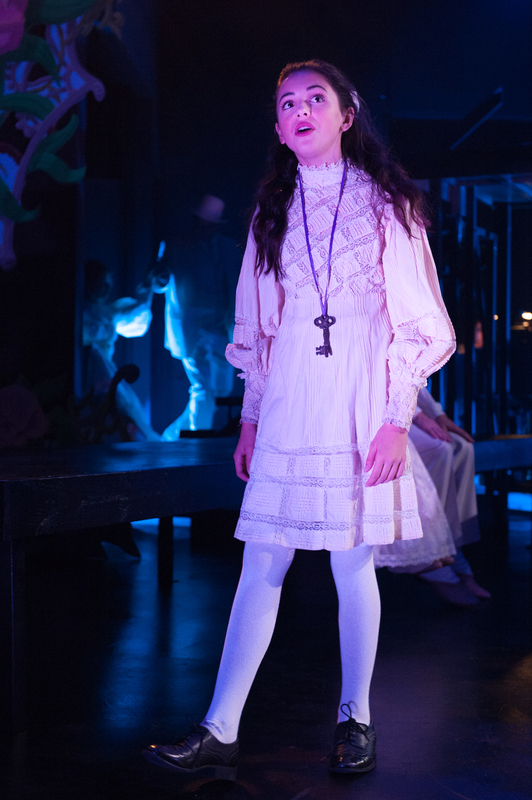 Moreover, Erika Baldwin as the omnipresent spirit of “Lily Craven” is nothing short of astounding. 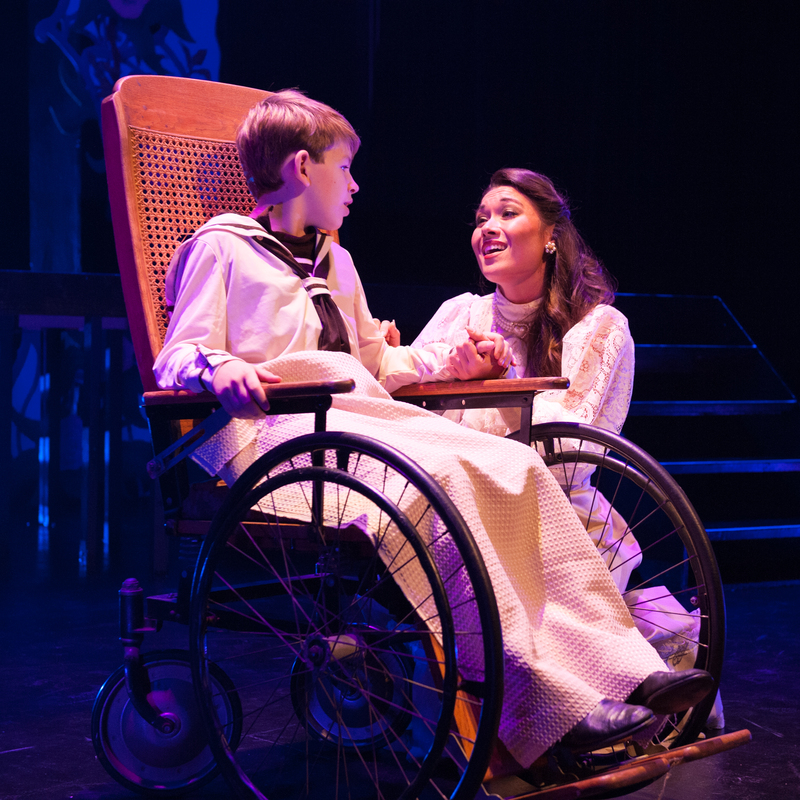 With a magnificent voice captivating enough to merit an ovation all its own, she manages to impress starting with the show’s very first lines (“Clusters of Crocus, purple and gold; blankets of Pansies, up from the cold. Lilies and Iris safe from the chill—safe in my garden, Snowdrops so still”;) then subsequently in an early “flash back” titled “A Girl In The Valley”, recalling Lily and Archie’s courtship. In the second act, her aria “Come To My Garden” is a deeply affecting duet with her son “Colin” and ranks as one of the very best and most stirring songs written for a musical…well, ever! Not to be overlooked either is her expert handling with Thomas of the reprise of “A Bit Of Earth” as well as their tender final duet, “How Could I Ever Know”. Brandon Taylor Jones also does a terrific job as Mary’s new pal “Dickon” who teaches her many important lessons about the garden and how to tend it. His is admittedly a tricky role to sing, but Jones triumphantly makes his ‘mark’ right away with Dickon’s introductory “conjuration”, “Winter On The Wing” which is part aria, part druid chant, and gives him the opportunity to hit some fairly prodigious notes. Then again, Jones more than ascends to every challenge this role entails. His and Mary’s near-acapella duet, “Wick” is a pure delight, wherein he explains to her concerning the newly rediscovered flower-patch, “A lot of what looks dead is really just biding its time”, and score as one of the evening’s undeniable crowd-pleasing moments. 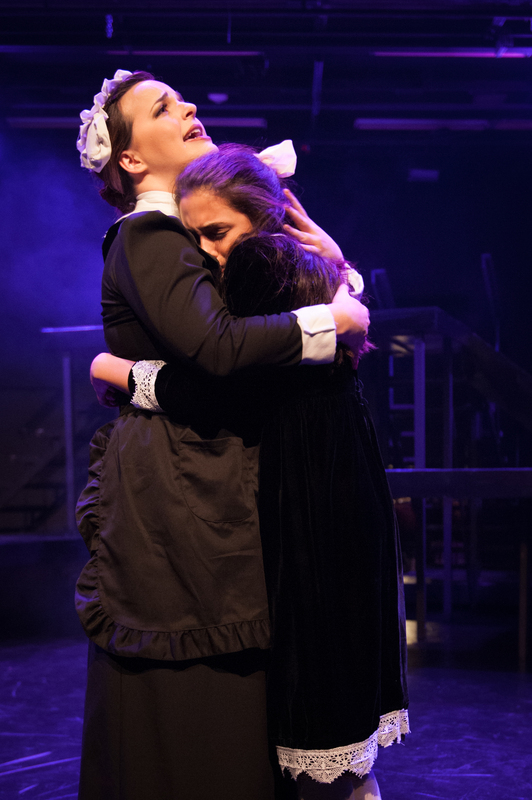 Rebecca Silverman is also outstanding as his sister, Martha–the affable chambermaid who befriends Mary and first tells her of her late Aunt’s garden and how much it meant to her. Silverman particularly shines with the jaunty “If I Had A Fine White Horse” which injects a breath of fresh, light-hearted air into the proceedings early on—especially after the more somber beginning. Later she’s given the rousing “11 O’clock” number, “Hold On” giving Mary a sound dose of strength and resilience when she needs it most. So too, on opening night the role of Mrs. Medlock—the estate’s harsh-minded housekeeper was commendably played by Elyssa Alexander (—which she alternates with Carmen Tunis throughout the run,) while Ira Trachter equally offers A-Plus support as “Ben”–the Manors’ chief groundskeeper, whom Lily once charged with care of her garden. Production Stills By Lisa Scarsi, Courtesy Of Dan Pittman at “Pittman PR” (www.pittmanpr.com) And “One More Productions” (www.onemoreproductions.com) Special Thanks To Dan Pittman, Damien Lorton, Nicole Cassesso, And The Cast & Crew Of “One More Productions” “The Secret Garden” For Making This Story Possible. This entry was posted in Theater reviews and tagged "Come To My Garden", "The Dreamers", "The House Upon The Hill", "The Secret Garden", 1991 Drama Deask Award Winners, 1991 Tony Award Winning Musicals, 2015 Southern California Theater Season, Archibald Craven, Classic 1911 Novels, Classic Children's Literature, Colin Craven, Damien Lorton, Dickon, Dr. Neville Craven, Frances Hodgeson Burnett, Garden Grove CA., Garden Grove California, Lily Craven, Lucy Simon, Marsha Norman, Mary Lennox, Misselthwaite, Nicole Cassesso, One More Productions, Operettas, The Gem Theatre, Yorkshire Musicals. Bookmark the permalink. This play was absolutely wonderful. I always leave the Gem Theatre and the plays feeling so much happiness. The actors are all wonderful and put their best effort forward and have great plays. Thank you friends from the Gem!